A commercial GPS tracker is an excellent tool to improve productivity and reduce expenses. It helps you monitor your drivers’ activity on the road in real time so that you can keep track of aggressive driving, excessive idling, speeding, driver performance, and more. According to reports, a car GPS tracker can reduce maintenance costs by 10-20%, save up to 33% on insurance premiums, and reduce fuel consumption by 33%. You can even double your savings if you use a route planner that offers a GPS tracking feature. But, the sad part is that, despite all these benefits, there are still many field service managers who are hesitant to go for GPS programs, and come up with several excuses for not implementing these tools which are, in reality, not based on truths. 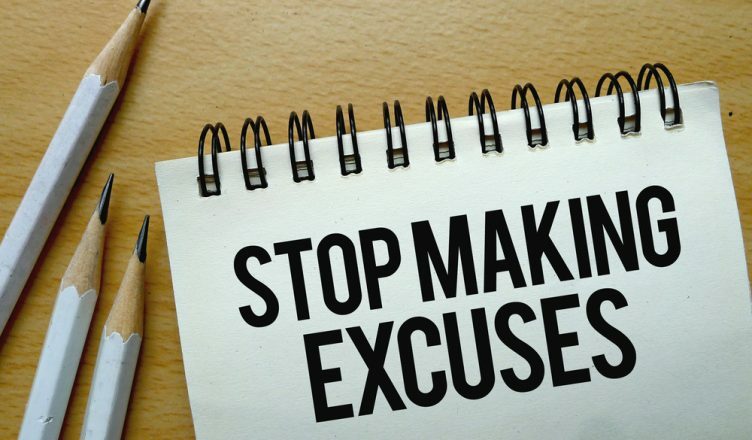 Here’ a list of some of the more common excuses made by such managers. If any of these sound familiar to you, learn how that attitude could prevent you from making significant savings and optimizing your field operations. GPS programs should ideally be inexpensive. And, if you buy a web-based delivery route planner that offers vehicle location tracking capabilities, you don’t even need to buy expensive hardware or invest in resources, data security, and maintenance, as everything will be taken care of by the software provider. Moreover, you won’t be bound by lengthy contracts; you’d be able to upgrade or downgrade at any time; and you’d pay for the usage only. So, you should look at a vehicle tracking system as an investment that will save your business a lot in the long run. In fact, it is likely costing you more money to not have a GPS fleet tracking solution in place. GPS tracking apps are extremely easy to use. Of course, any operation could get complicated if you use a standalone fleet GPS tracker. So it’s highly recommended to go for a cloud-based multi-stop route planner with vehicle tracking capabilities. A web-based truck map software won’t require you to install anything on your computer and you can access the dynamic routing tool at any time and from anywhere, provided that there is an internet connection. Also, fleet routing software automatically backs up your data, and you never need to worry about compatibility issues. In addition, SaaS routing programs are user-friendly and you should be able to navigate and use most of the features on your own. However, the best route planners also come with a free onboarding program to provide you with best-in-class training; further minimizing the learning curve. All GPS tracking services are not equal and saying they are is like saying that all the fruit in a greengrocer’s shop is the same. If you compare the features offered by different vehicle telematics companies, you’ll immediately realize that there are big differences. This can include specific functionalities, pricing, customer service and support, and account management. 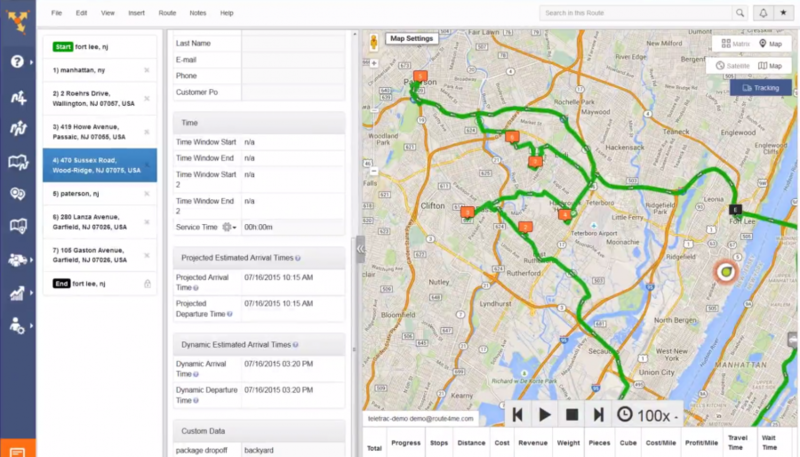 Can the commercial GPS tracker help you with route scheduling? Does the telematics system offer custom reporting capabilities? Does the fleet tracking app come with geofencing alerts? Does the vehicle tracking software come with an access restrictions feature so that you can set permissions for specific users? Does the telematics software come with a free trial so that you can try it before you buy it? Does the GPS vehicle monitoring system need you to subscribe to a multi-year or a month-to-month contract? Does the GPS tracker come with a virtual reality app and telematics gateway feature? You may still believe that you know where your drivers are throughout the day, or you may think that if they make a quick stop for a cup of coffee it’s no big deal, and so you don’t need a commercial GPS tracker. But, would you know if a driver or field rep takes much longer breaks than just a quick five minutes? Also, how would you know if a driver is speeding – which is risky for the driver and can put you into legal battles or cost you hefty fuel bills? You won’t even have any idea about excessive idling, or if your drivers are making personal or unauthorized stops. Can you still confidently claim that you know what your drivers are doing on the road? A route planner with a GPS tracking feature can help you here. The commercial GPS tracker will even alert you when a driver exceeds the speed limit or if a vehicle is idling for too long so that you can communicate with the driver immediately to rectify the behavior. We understand that using multiple programs to organize everything can get confusing, but tracking devices don’t increase the list of software being used. This is because a car tracker not only simplifies your field operations management, but also simplifies the way you manage multiple apps. For example, the best route planners come with a route optimization API that combines route planning, dispatch, execution, and post-execution capabilities all in once place. So you can integrate trucking dispatch software to your sales system, eCommerce platform or internal system and plan and execute routes from a single platform. 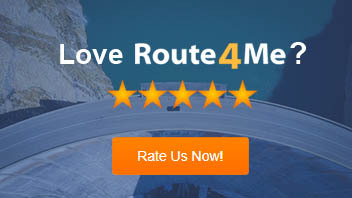 There’s no need to manage route optimization software separately. Also, the best routing programs come with a telematics gateway feature that provides you with the ability to integrate the commercial GPS tracker with leading telematics vendors so that you can track your existing vehicles on a map inside the map route planner. A multiple destination route planner will also automatically send and synchronize your routes to every connected vendor in your account. Plus, the system will automatically analyze and archive all the GPS data received from your connected account. Do you still think you need to worry about managing a commercial GPS tracker? Moreover, business optimization software helps drivers obtain well-optimized routes so that they can reach customers on time, make more stops per day, and ultimately earn more money. In a nutshell, a commercial GPS tracker isn’t a “big brother” system, but rather a dynamic tool that makes mobile worker management seamless. So do you still think that you don’t need a commercial GPS tracker, or do you still have any misconceptions? Do you have any questions? Please feel free to leave your comments below. What is a telematics gateway? How can a commercial GPS tracker help you identify whether a driver is speeding? What benefits can cloud-based dispatch software bring for your business?